Renowned social media crusader and development activist, Mr. Freedom Atsepoyi, otherwise known as Mr. Jollof, says he's the youngest person to have contested for Warri Federal Constituency Seat at the National Assembly. 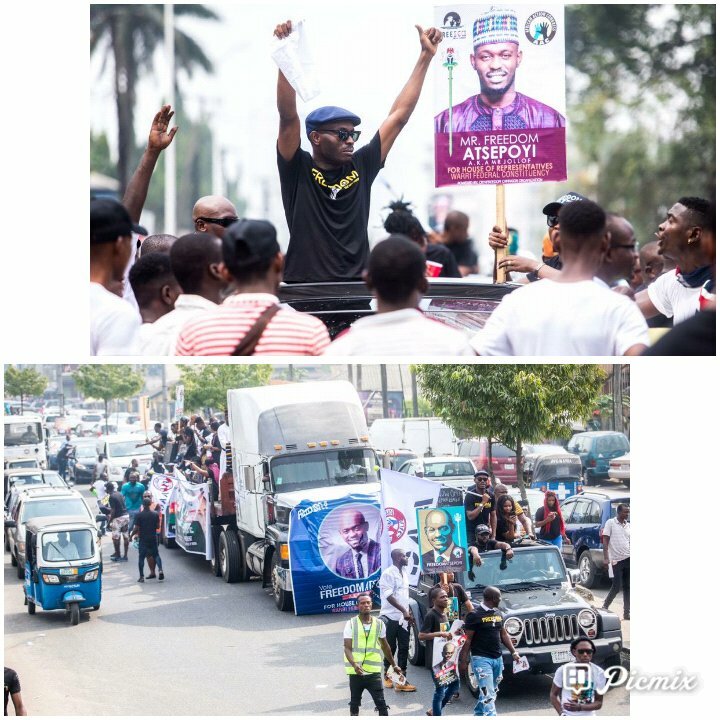 The Political Science and Public Administration graduate as well as Masters Degree holder in Public Administration, who's contesting the Warri Federal Constituency seat on the platform of African Action Congress,AAC in the February 16 polls, recently staged a massive campaign rally on major streets of Warri with no fewer than 2,000 persons clad in his campaign kits. Atsepoyi who is renowned for his social media development -driven campaigns,explained that his decision to vie for the federal legislative position is to enable him step up his advocacy by initiating laws that will be favourable to people of Niger Delta, apart from the usual oversight function geared towards making the executive arm of government live up to its development responsibilities. Fresh Angle International can report that Mr. Atsepoyi as part of his development-driven advocacy campaign, recently placed warning signages on failed roads in Warri and environs with a view to making the relevant government agencies carryout the necessary repairs.